Under the manifesto "Being, Growing, Knowing and Giving", UNIVER is a private higher education institution. With more than 12 campus, UNIVER offers a vast academic offer; from bachelor’s degree to masters. 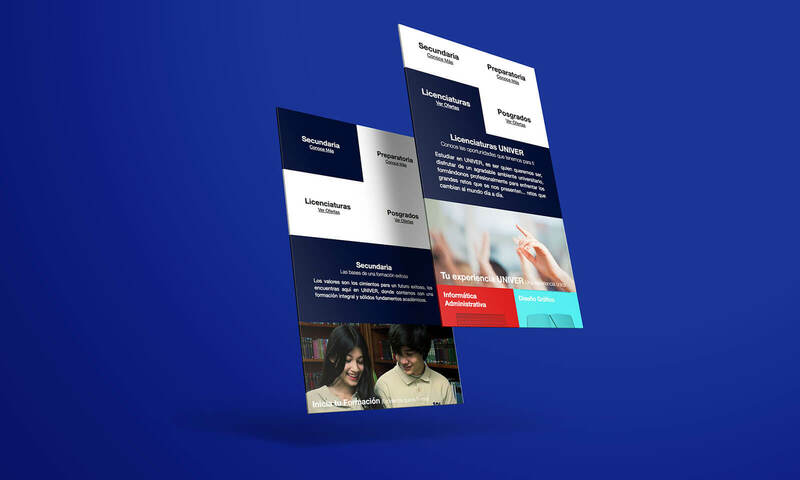 Design and development of a modern and highly usable website to introduce UNIVER Campus Nayarit as an excellent option to study. Since the site would be mostly frequented by students, we proposed a simple and modern web structure that prioritizes the topics of interest for such users. We used a language -both visual and written- of aspirational nature, supported by a palette of bright colors. "Being, Growing, Knowing and Giving"